Just in time for the Jewish festival of Shavuot, I strongly commend to you “Poverty, Chesed and Justice,” a text study just released by T’ruah: the Rabbinic Call for Human Rights together with Justice at Hyatt. It is customary to engage in a late night study session on the eve of Shavuot – and since the story of Ruth is traditionally read on this festival, a study that focuses on the struggle of women workers at Hyatt feels profoundly appropriate. In the Book of Ruth, Ruth’s actions are lauded as acts of chesed, kindness. Ruth’s kindness is embodied through action: not just following her bereft mother-in-law Naomi back to the land of Israel, but taking on grueling work in the fields in order to keep them from falling into abject poverty. It is this determination and chesed that causes Boaz to notice Ruth and to perform his own acts of chesed in return. We hope that this Shavuot, the Hyatt Hotel Chain will display similar chesed toward the women who toil every day to change linens, scrub bathroom floors, and carry heavy bedding, all in the hopes of providing a better future for their children. 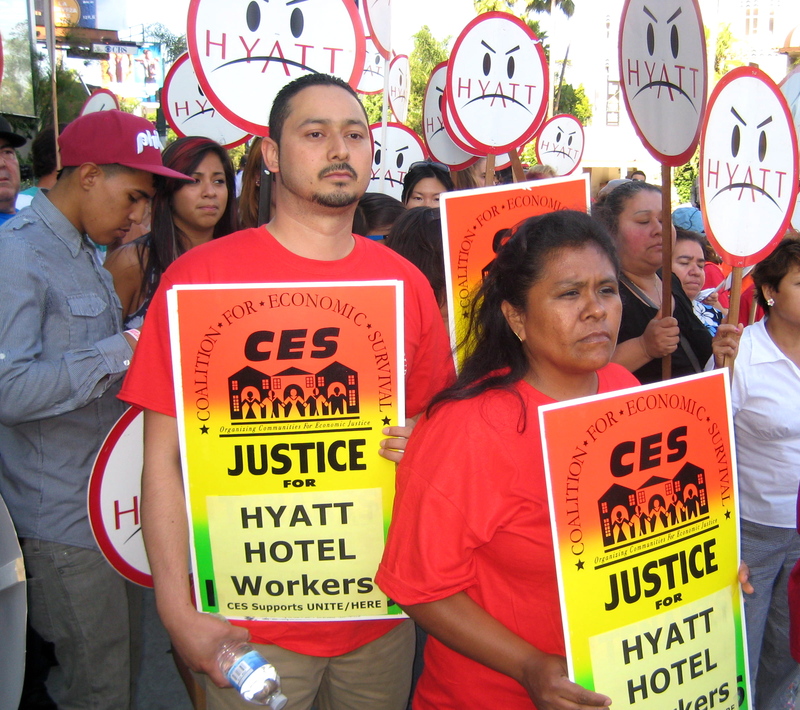 This entry was posted in Economic Justice, Human Rights, Hyatt Boycott, Judaism, Labor Justice, Religion, Shavuot on May 13, 2013 by Rabbi Brant Rosen. Right on! we can learn alot from Ruth.